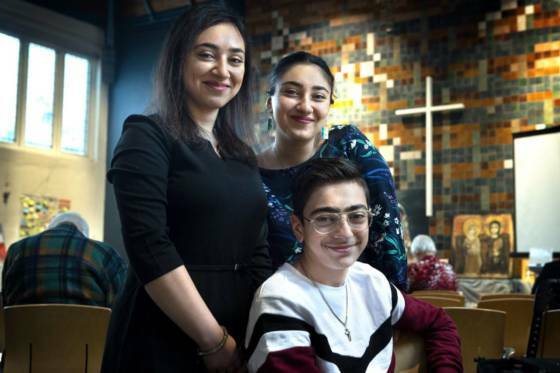 Ninety-six days of continuous sermons have ended at the Bethel church in The Hague, which pledged to protect an Armenian refugee family from deportation. This week the Dutch coalition government reached an agreement to give residency rights to 630 child refugees – some of whom were born in the Netherlands and had never been to their parents’ country of origin. In October 2018, the Tamrazyan family and their three children of 21, 19 and 15 were offered refuge by the Protestant church in The Hague for fear of deportation. In order to protect them, the church fell back a Dutch law originating in the Middle Ages, saying police may not enter a church during a service. With the help of 450 volunteer pastors of all denominations and lay preachers, they held continuous services for more than 13 weeks. The vigil, to raise the plight of other refugee families and especially children in the Netherlands, has now ended. ‘The aim of the church asylum was to provide safety for a family that had exhausted all legal options, and a solution to families in similar situations,’ the Protestant church organisation said in a press release. Theo Hettema, chairman of the general council of the Protestant church in The Hague said that they were deeply thankful for the government’s decision on current cases. However, the organisation expressed concerns about future policy, since part of the accord was to scrap the so-called ‘child pardon’ in future while providing an amnesty for current cases. The last service in the vigil came to an end on Wednesday with a press conference, and a party is promised for all volunteers at a later date.